I Live With An Army Guy. This Post’s For Him. Yesterday, history was made. 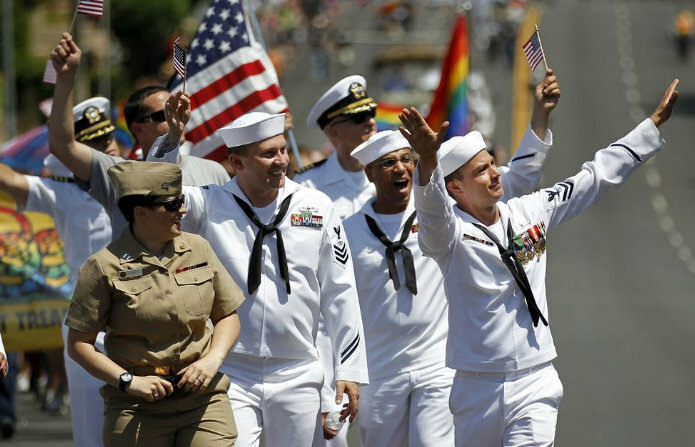 For the first time ever, active duty and retired military people marched in the Pride parade in San Diego. In full uniform. 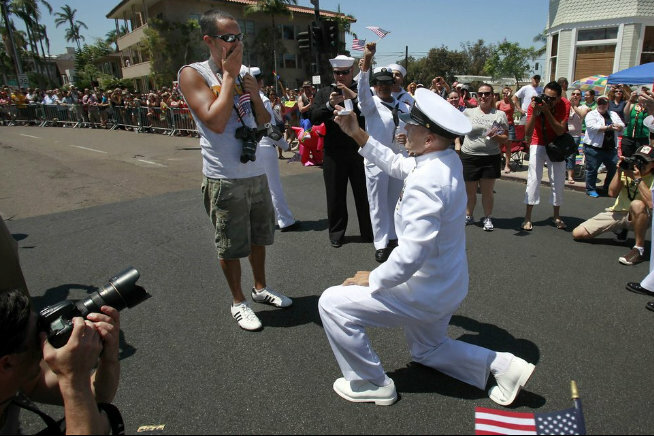 Anyway, this is a huge and momentous event, and I am sure that every single active duty and retired and reserve service member who is gay or is gay-supportive is celebrating this. I happen to live with a guy who spent 47 months in Iraq, fighting Dubya’s wars, and thank god, he’s back and safe and happy now. He’s also a gay guy. So, Skipper, I just wanted you to see this. You knew you were appreciated, but we’re finally hitting a moment where you’re appreciated, on this level, for everything you did and continue to do. Wish the stars had aligned for you to be in that parade, but the fact of the matter is that there are so many gay troops it’d be a hell of a fiasco trying to get them all in the same place at the same time. Regardless, this moment is for Skipper and all the umpteen thousands like him.